Like all Anglicans, indeed, all Christians, I occasionally visit other churches, perhaps other denominations. In one particular church they held the Lord’s Supper, what we call Communion or the Eucharist in the Church of England, every two weeks. The bread, real actual bread, and some type of grape juice, were shared among the congregation after the traditional words of Christ’s institution, and the un-consumed bread was returned to the table. At the end of the service this bread was given to the children to eat while mums and dads drank coffee, and invariably it ended up being trodden into the carpet, to be later swept up and thrown into the rubbish bin. I’ll let you consider that for a moment, because how you instinctively feel about it will guide you in the way you view the Eucharist, one of the two central sacraments of the Church of England, and in which we are about to share. If you cringed slightly, then you probably belong to the more traditional end of the Church. If you genuinely thought “What difference does it make” then perhaps you’re at the more progressive end. 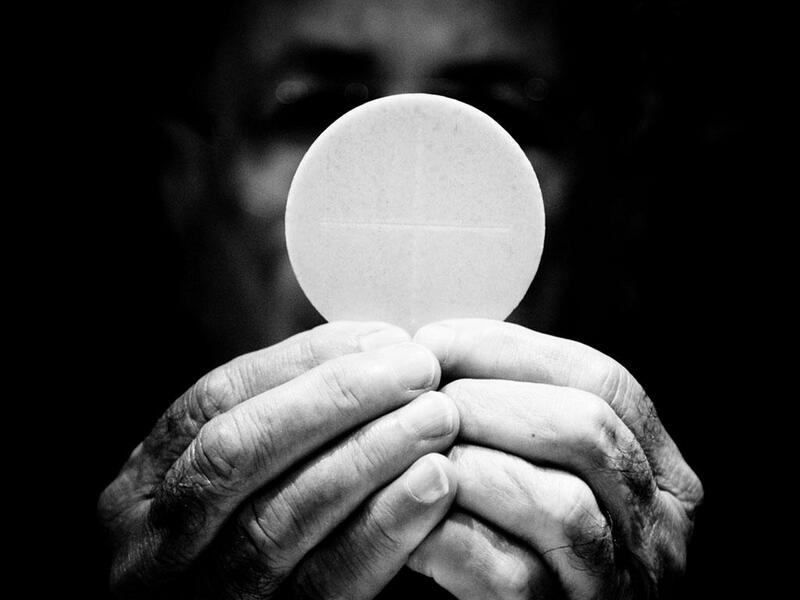 In our Gospel reading Jesus referred to “the living bread that came down from heaven,” he continued, “If anyone eats of this bread, he will live forever. 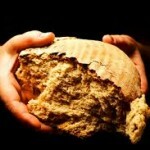 And the bread that I will give for the life of the world is my flesh.” Of course, he was referring to himself. These words are very familiar to us, and in about ten minutes we’ll hear those words again, as we come to the front of the church to receive communion. In those words Jesus is giving himself to those who wish to partake of him, and promising eternal life as a reward. That day and the next would be a jamboree of giving, from God to us. Jesus knew this was the night of his forthcoming capture and the subsequent trial which would end in his death. It was his last act of giving before his final gift of conquering sin, and ultimately death, on the cross. But what exactly did he mean when he spoke of being the bread of life? The literal view is the one that’s been held by Roman Catholics throughout the centuries; that what we eat and drink literally becomes the body and blood of Christ. However, they maintain the appearance of bread and wine. How this is so is deemed a mystery, but the claim gave rise to attacks on the early Church and accusations of cannibalism from its enemies. The metaphorical view is held in two ways: firstly that Christ was instituting a memorial whereby we remember him each time we eat and drink, and secondly, that we encounter Christ spiritually whenever we partake of the bread and wine in a worthy manner. Jesus was no stranger to metaphor when it came to describing himself. He was the light of the world, the vine, the door, the good shepherd, the resurrection and the life, the alpha, the omega, the way, the truth and the life, the Son of God, the Son of Man, the bread, the wine, and carrying on the food theme he told us to “eat my flesh” and referred to the disciples as “the salt of the Earth”. You may understand the Eucharist in any one of these ways, because the Church of England is a very broad Church and is tolerant of each view. Generally speaking, the Church teaches and follows the understanding that Christ is spiritually present in the Eucharist, which is one reason why we take our communion with Christ so respectfully and carefully. We may bow towards the communion table, or make the sign of the cross if we’re at the more catholic and traditional end of the Church. We partake in silence, and pray our thanks when we return to what used to be our pews, back in the day when an aching back and a numb rear end were all part of being a Christian. Some of us may mourn the passing of our wooden pews, but I defy anyone to claim they were comfortable. When Jesus distributed the bread and wine at that last Passover meal he did something which on the face of it was unexpected: A Passover meal was made up from the Passover lamb, killed for the occasion, and wine, which was supplemented by bread to help “soak it up”. But Jesus chose to call the bread his body, not the lamb, which was the central offering, and whole point of the meal. Perhaps this is an odd thing as Christ was referred to as “The Lamb of God” by John the Baptist, but in those times lamb was more of a luxury, and of course this ceremonial lamb was killed specifically for this occasion, but bread was eaten at every meal. Jesus wasn’t instigating a once a year celebration; this was to be a regular and common occurrence. The disciples used to meet early on every Sunday morning, which you’ll remember was an ordinary working day in Roman times, and partake of their Agape meal, pray a little, sing a little and then go about their day. 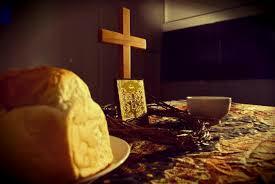 Soon, the elements of bread and wine became separated out, and the earliest forms of the Communion we now enjoy began. Well over 2,000 years later our repetition of that small ceremony still takes place in virtually every church in the world, and because our liturgy is so similar to the Catholic liturgy, millions of people are simultaneously saying the same thing, time zones excluded! So, here we are. We meet here faithfully and regularly every week, and perhaps at other times, to bathe in the grace of God. This is the time where, as a body of people, we can feed on Christ, however you may understand that, and become one with him. It is a special time, a privilege. We believe that Baptism is the means of obtaining new birth, when we are cleansed and raised to new life in Christ. But the Eucharist offers us the strengthening and sustaining power of the Holy Spirit, not once a year, not once a month, not once a fortnight, but every week in the parish when we come together. In it we commune with God through the gift of his Son, Jesus Christ. We are truly a blessed people. So I come back to my first point. 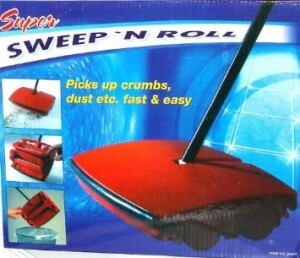 When that bread was trodden into the carpet in the other church, was it the actual body of Christ being trampled on, as many Catholics believe, or was it the physical representation of the spiritual body of Christ, or was it just a bit of bread, and everything else is in the hearts and minds of those who ate from it during the service? Whatever your view, the Holy Eucharist is THE central act of worship of the Church of England. Through it we receive spiritual nourishment through the sustaining power of the Holy Spirit and direct Communion with God, instituted by Christ himself. Christ is indeed the bread of life. He said “Whoever feeds on my flesh and drinks my blood abides in me, and I in him”. There’s a small but interesting PS to all this; something I discovered when reading prior to writing this: Jesus was born in Bethlehem, which I already knew, but Bethlehem was a place renowned for its hospitality to travellers, as we know from Mary and Joseph’s experience at the time of Jesus’ birth. Now this may be pure coincidence, or it may be some form of cosmic joke played by God as part of his all encompassing plan, but Bethlehem, in Aramaic, means House of Bread. Very well written! I hope to write my viewpoint on the eucharist too… To me the Lord’s supper means a lot. It is not “just” a remembrance to me. I guess it is Zwinglian.